Treats the learner like an adult, not a child? We recommend and sell Mike Dickison’s Kiwi Ukulele as the best beginners book for relaxed adult learning on the market. 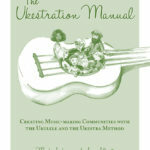 It covers techniques, tricks and trivia, as well as having one of the most comprehensive ukulele chord charts around. We sell a small amount of ukes and uke-related equipment and books to students in the Newcastle area. Whilst we do encourage people to shop locally (Musos Corner in the city, Warners Bay Music Solutions, Jacks Music in New Lambton), we do provide a limited range of good quality stock at competitive prices. We are also the Australian distributor for a number of teacher resources, including James Hill’s Ukulele in the Classroom series. Locally available stock – Always available at local ukestra sessions or contact us to place an order. Only $15. Not so long ago clip tuners were $50 or more, but prices have now plummeted from $25/$30 into the teens.